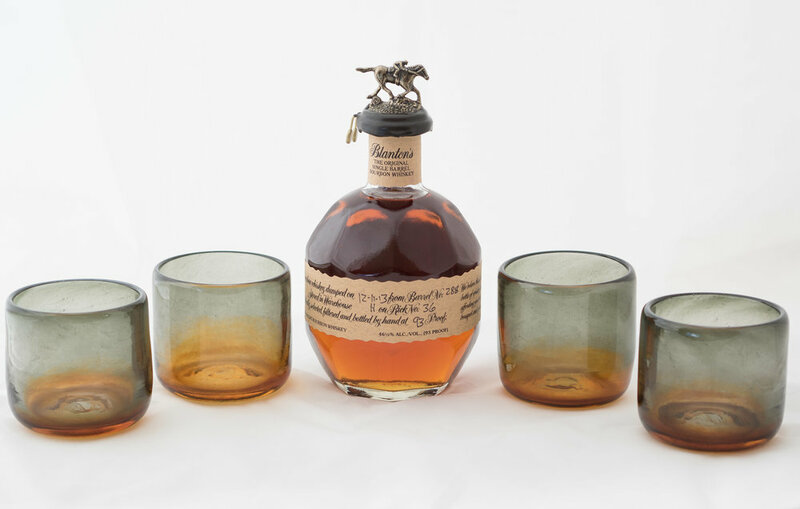 Everyone needs some handcrafted bar glasses in their home. Below are some designs and ideas being developed for regular production. Through discussions with clients and partners, we've learned many important details about how and why a glass is used. The drinking glass is simple yet deceptively complex. 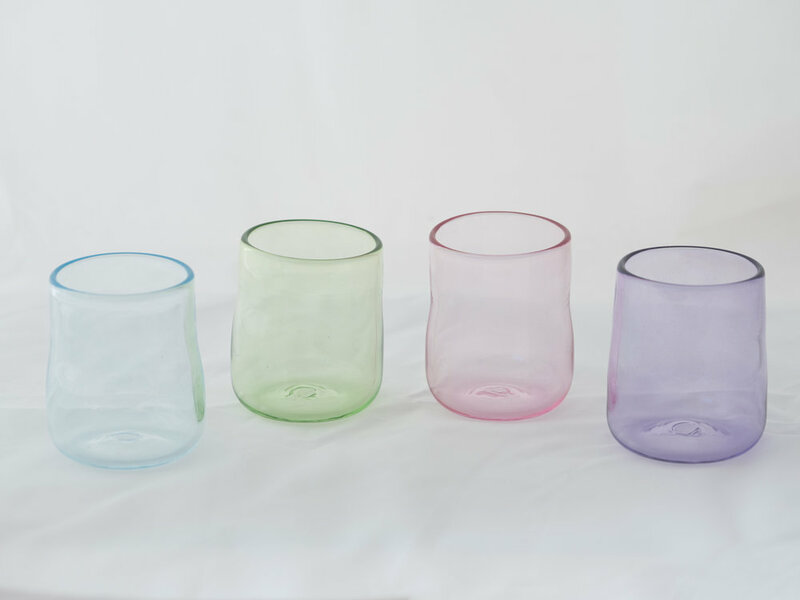 Other than size, factors that affect the drink enjoyment process include glass shape, thickness, color, seat, and texture. We look forward to the continued experimentation and feedback! Heavy Whiskey Glasses -"Mahogany Smoke"
These whiskey glasses are wider and heavier than traditional glasses. The color is made with a few rolls in glass powder (tourmaline and medium amber). Size is approximately 3.25" w by 3.25" h. Popular with hunters and large-handed men. Light Whiskey Glasses - "Mahogany Smoke"
These are tinted with a light coating of colored glass powder (tourmaline and medium amber). They are a lighter weight bar glass approximately 3" w by 4" h with a whisper taper towards the top. Nice balance of form and function. Mini Margarita Glasses - "Uncloudy Days"